Blink and you'll miss it! There's not alot of emphasis placed on blokey type images or stamp sets and this one shares a page with the Open Sea Stamp set in the Annual Catalogue. 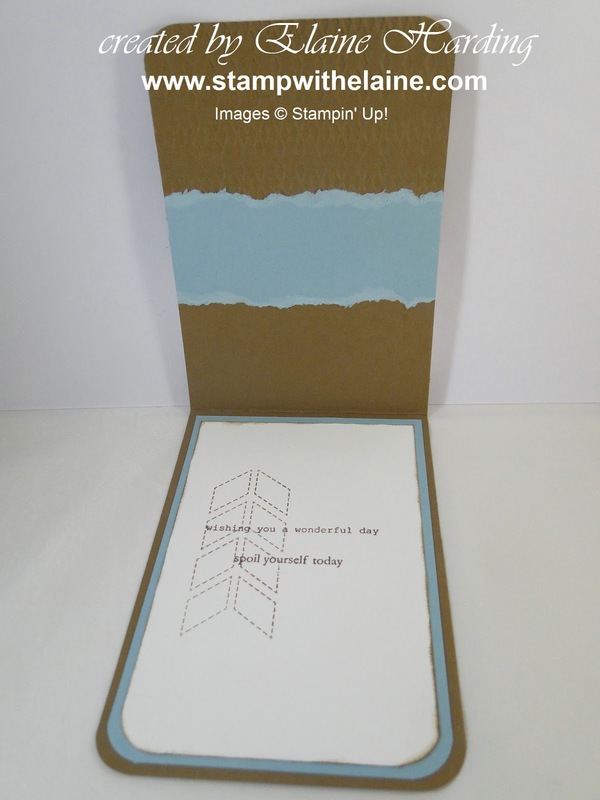 I love both these stamp sets for making masculine cards. 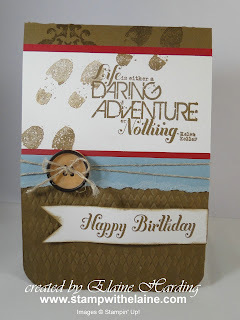 The one above is called Daring Adventure (ACp104) and if you're a scrapbooker, it's a really useful stamp set to have! My nephew celebrated his birthday earlier in the week and he has just returned from an exotic trip abroad. 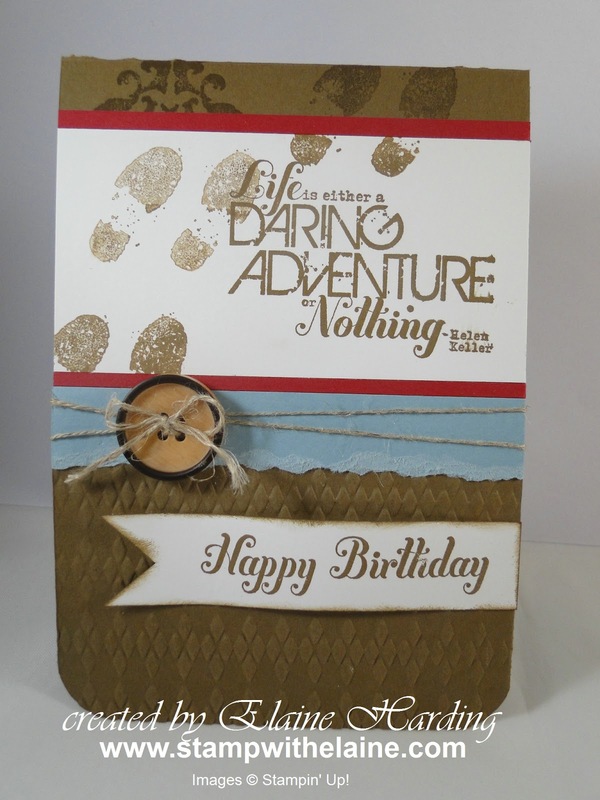 He's always flying off to far-away places and this stamp set seems tailor made for him! The birthday greeting is from Bring on the Cake (ACp142). I used Soft Suede for my card base which was partially embossed with the Argyle EF and accent colours were Baja Breeze and Raspberry Ripple. For a more masculine feel, linen thread and these trendy simulated wood buttons are ideal. 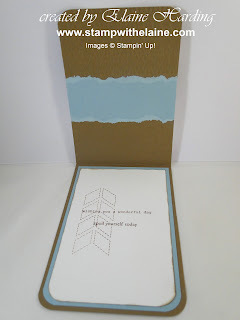 For the inside of the card, I added a torn strip of Baja Breeze to keep the linen thread in place, and for the sentiment I used Bring on the Cake and stamped a chevron from the Oh Hello set to add a bit of interest. The corners were rounded off in the bottom sections only. Thanks for visiting, and enjoy the rest of Sunday!